Defensive assets such as cash hold an important place in portfolios not only for liquidity but also downside protection. When you look at the typical asset allocation ranges for the five main risk profiles it’s clear what a critical part cash plays in a portfolio; now more than ever with many deeply concerned about the end of the equity cycle. However, many Australian investors only consider cash as AUD cash. This is understandable, but cash balances should be diversified in the same way as equities and fixed income. This gives the benefit of both diversification and, often, better yields. The ETFS Enhanced USD Cash ETF (ZUSD) achieves this for the low cost of 0.30% p.a. With both objectives looking stable in the current US economic environment Powell looks to be fulfilling his mandate and this has been reflected in the current Fed Target rate - set at a range of 2.25% to 2.5% - giving the market a strong indication that rates are likely to be unchanged for the remainder of the year and if on what looks like to be a small chance there is a change, it is likely to be in the form of a cut. 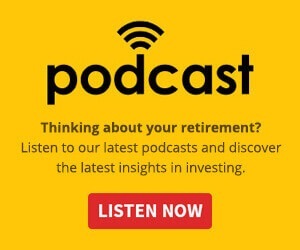 The Fed And The Reserve – Are They Kicking Goals? 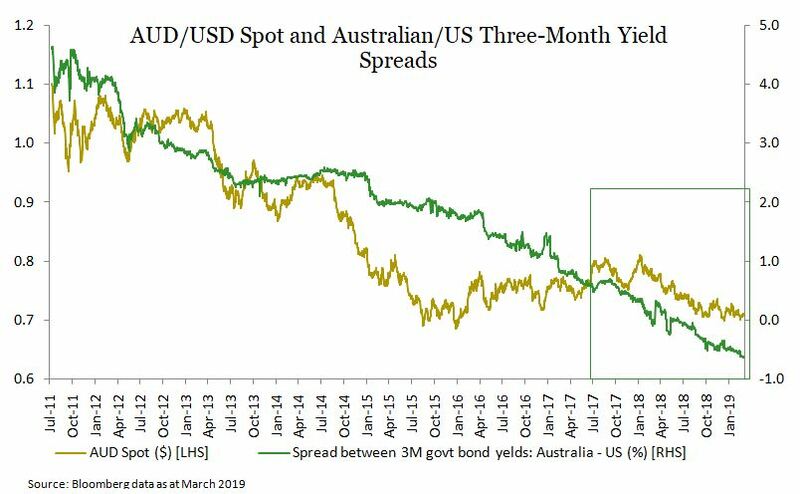 The current US yields are higher than the equivalent Australian duration. As you can see in the chart above the 10-year yields on government bonds are over 50 basis points better in yield terms in the US than Australia right now. 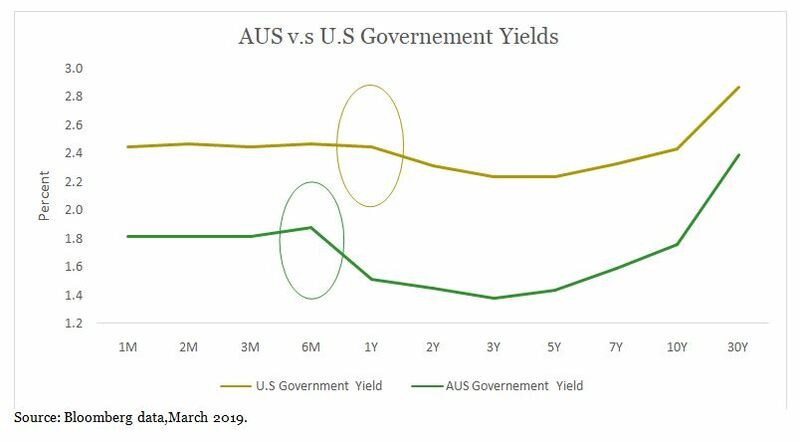 Even with the yield curve displaying inverted characteristics, shorter duration US yields are better than the Australian equivalent. The cash rates on offer on US cash deposits are significantly higher even in the scenario that the RBA raises rates and the Federal Reserve holds. Even in the unlikely event that the RBA has consecutive increases (given inflation looks stable and economic growth looks late in the cycle) to the cash rate and the Fed held rates constant, the cash deposit rates on offer to investors could remain in favour of those with US deposits. In the graph below the spread between US and Australian deposits has been more beneficial to US deposits since March 2018. ZUSD makes use of higher yielding deposits out to a term of 3 months in duration to help enhance the yield for investors in the fund. 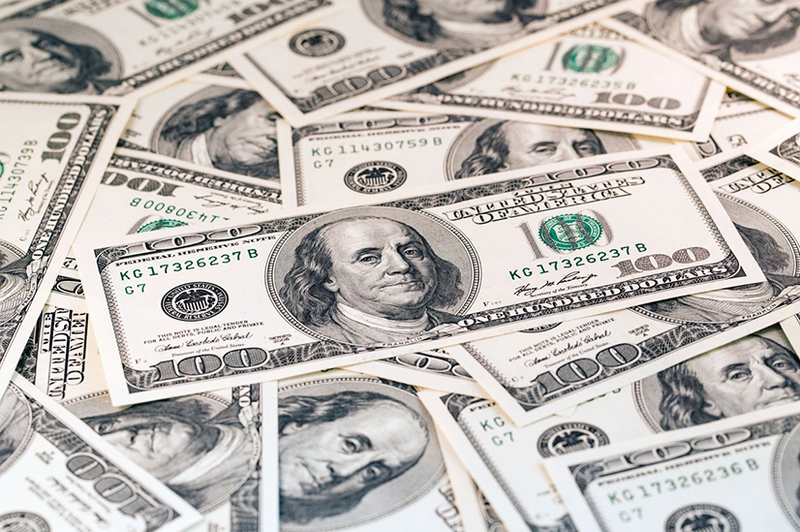 Using a combination of “at call”, 1M and 3M duration deposits ZUSD is designed to give investors an enhanced US dollar cash position rather than just holding exposure to the physical US dollar. Investors should consider diversifying their cash positions by holding non-domestic cash in addition to Aussie dollars via ZUSD.